Players often struggle to feel confident with their approach and net games, and their volley and overhead. 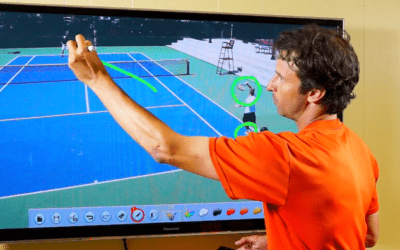 They spend hours working on their baseline game and therefore don’t feel comfortable when moving forward. It’s important to practice your transition and net game as much as your game from the back of the court. Because you need to be able to finish the point at the net after you set it up from the baseline. Here are a few key tips that will help you find that killer instinct moving forward. First and foremost, you have to commit to your net game. Commit to practicing your approach shots, volley and overhead. That means you should practice not only in lessons, but also when you play practice matches. Play games with yourself counting how many times you come to net during a set. Play games where you come in on the first after short ball and see how it works. This will be great practice for you, because it will help you overcome your fear of moving forward. 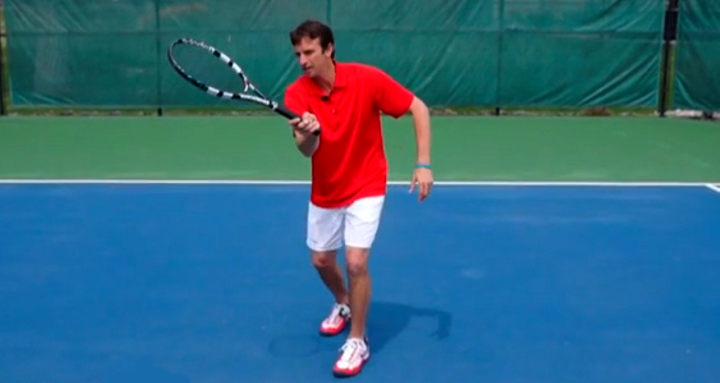 One of the biggest mistakes you can make on your volleys is not moving through the ball. You come in, hit your volley, and then stop. This kills your momentum and puts you out of position for the next shot. Don’t be scared of closing the net. 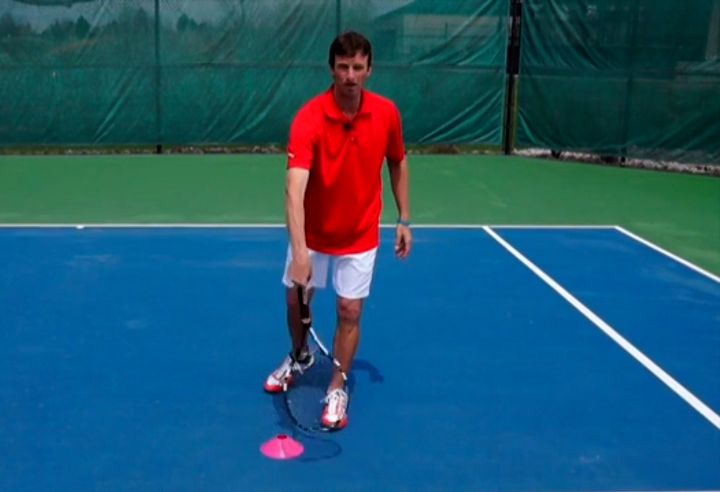 After you hit your volley, follow the direction of your ball. This will cut down the angles for your opponent and make it very difficult for them to pass you. Moving through your shots will also make you more fluid and consistent. 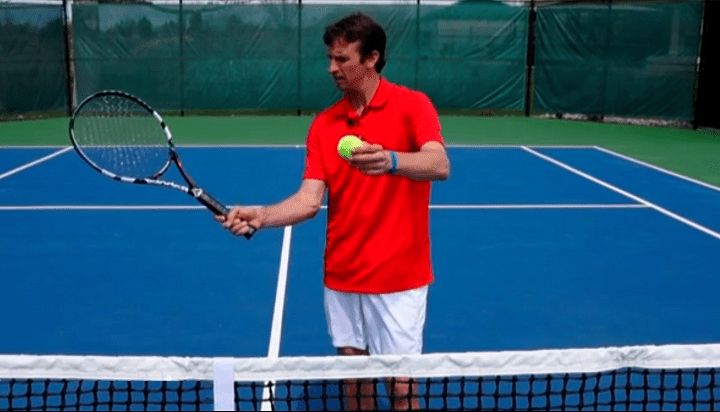 You will find that if you stop after hitting the ball, you might miss a lot of balls in the net. 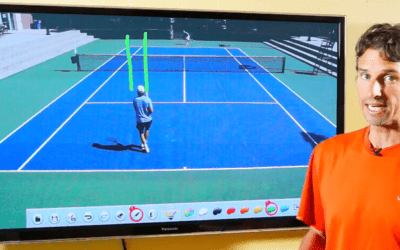 But if you move through towards your target it will help you clear the net on more volleys. As always, the finish is one of the most important aspects of your shot. 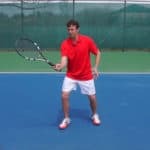 At the end of your approach, volley and overhead, you need make sure you are on balance and ready to move to the next location on the court. Be eager and ready, on the balls of your feet, ready for the next ball. You also want to hold your finish for split second after hitting the ball. 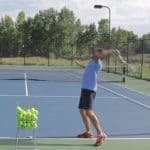 This will help the ball clear the net and keep your technique more solid and repeatable. 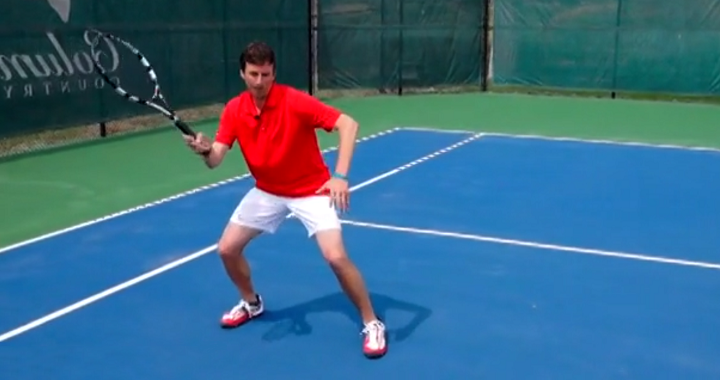 Finally, after hitting an overhead, you want to make sure you move forward with balance after hitting the ball. Last, but not least, make sure you are using safe targets. Having big margins and safe targets is always important, but even more important when you approach the net. On your approach, volley and overhead, you want to aim just past the service line. 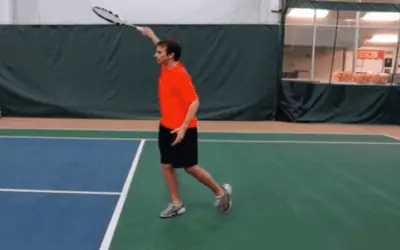 That way, if you miss your target you’ll still be hitting a great shot deep into the court. Another tip is to hit your overheard inside out. Getting a little spin on your overhead will give you control and improve your consistency on this shot. Overall, the main message to improve your net game is to commit to practicing the right way. Don’t give into your fear and let it prevent you from mastering your net game. Play little games with yourself during practice so that during matches you feel confident moving in. Adding a strong net game to your already solid ground game will open a whole new world for you. Your opponents will have so much more to think about and you will have many new weapons to use against them.